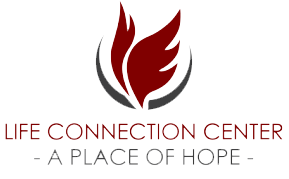 Support Life Connection Center today. No one should ever go hungry. There are many ways you can get involved with Life Connection Center. We need your help in finacial contributions, voluteer support and overall support services. Got an idea of how you can help us? Call us today! Your financial gift will help us to continue to feed homeless citizens of Lowell, Massachusetts. Every dollar collected directly supports program needs. We do not receive any city, state or federal funding at this time. Right now we are 100% dependent on private donations from caring people like you. Help us to continue to grow and expand. Commit to send a small monthly contribution today. With just $25 a Month, your total yearly donation would add up to around 150 meals for someone in great need. CLICK THE BLACK ARROW TO CHOOSE A MONTHLY COMMITMENT LEVEL. THANK YOU! ​Click below to help us to continue to support Lowell citizens struggling with hunger. Life Connection Center relies heavily on volunteers to operate a successful lunch program, community center and recovery support network. Thank you to the current volunteers that dedicate their afternoons to cooking, cleaning, organizing and encouraging our center guests. We could not do this without you. If you or a group you are a part of would like to volunteer at Life Connection Center, we would love to have you. Whether you are a school, college or community group, all are welcome to help further our mission.